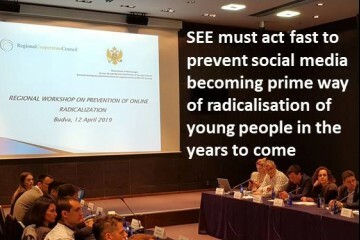 Budva – Online radicalization in South East Europe (SEE) and ways to deal with this global phenomenon on the regional level are the main topics at the regional Workshop on prevention of online radicalization, being held in Budva today. 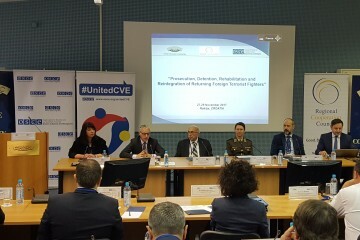 Belgrade - Regional Cooperation Council (RCC) organised a two-day regional Conference and Workshop tackling countering online radicalisation in the context of cyber security in Belgrade on 17-18 April 2018. 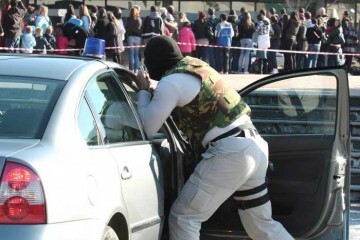 Zagreb – The role of education and civil society in prevention of violent extremism was a topic of the regional workshop, organised by the Regional Cooperation Council (RCC), in Zagreb today. 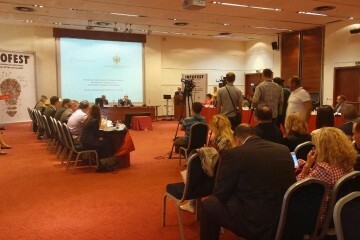 Podgorica - A conference introducing the topic of joint investigation teams organised by The Southeast European Prosecutors Advisory Group (SEEPAG), Southeast European Law Enforcement Center (SELEC) and Regional Cooperation Council (RCC) kicked-off in Podgorica, Montenegro, today. 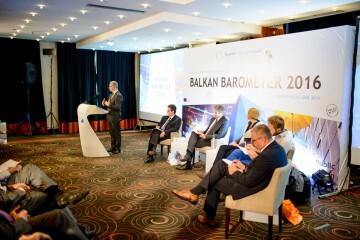 SARAJEVO – South East European (SEE) econ­omies have started to recover, shows the 2016 edition of the Regional Cooperation Council’s (RCC) Balkan Barometer, which was presented in Sarajevo today. 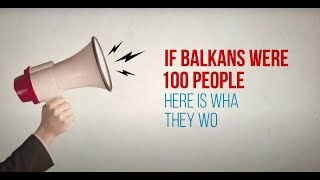 RCC’s Balkan Barometer 2016: And the people say… jobs! 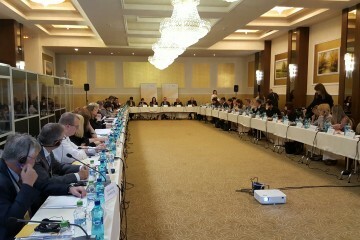 "Before accession, countries will need to prove tangible progress on Roma inclusion"
Pravets – The Governing Board of the Regional Cooperation Council’s (RCC) South East Europe 2020 (SEE 2020) Strategy heard the Annual Report on the Strategy’s implementation (ARI) at its third meeting held in Pravets (Bulgaria) today. 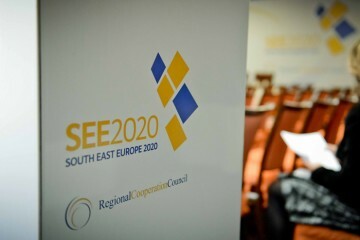 Sarajevo - The Regional Cooperation Council Secretariat (RCC) is seeking proposals for the implementation of the South East Europe 2020 (SEE 2020) Strategy with financial assistance from the RCC Small Grants Instrument for 2016. 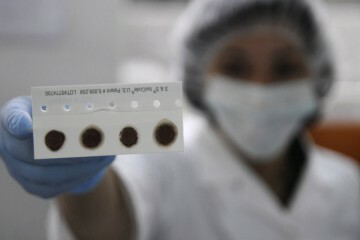 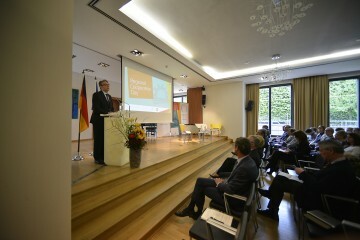 The total amount for these grants is 300.000 EUR. 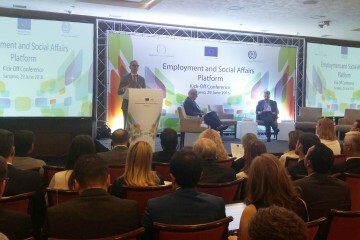 Brussels - The International Labour Organization (ILO) and the Regional Cooperation Council (RCC) will jointly create a Western Balkans Platform on Employment and Social Affairs in the framework of a new European Commission funded project signed today in Brussels. 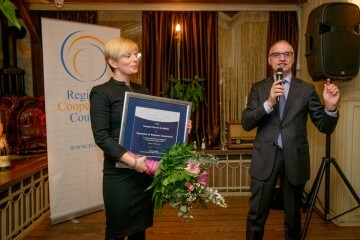 Sarajevo – The Regional Cooperation Council’s (RCC) recognition for outstanding work in the field of regional cooperation was awarded last night to the European Fund for the Balkans (EFB) which was selected as the Champion of Regional Cooperation for the year 2015. 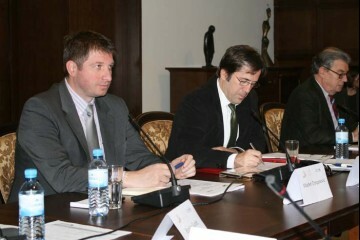 Sarajevo, 27 January 2016 - Regional Cooperation Council (RCC) Secretary General, Goran Svilanovic, chaired today’s first meeting of the Group of National focal points for countering radicalization and violent extremism leading to terrorism and foreign terrorist fighters in Southeast Europe. 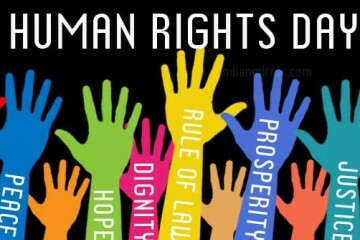 Sarajevo - Regional Cooperation Council (RCC) is organising a gathering of representatives of civil society and media from the South East Europe region to mark the Regional Cooperation Day. 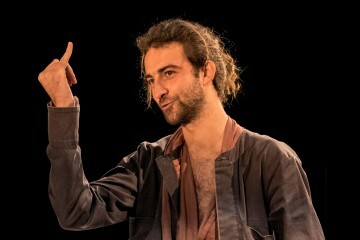 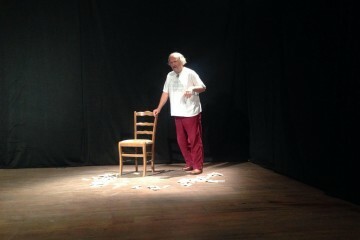 The Regional Cooperation Council (RCC) will be supporting a theatrical-literary evening of the renowned Bosnia and Herzegovina’s actor, writer and director, Zijah Sokolovic at the Qendra Multimedia, in Pristina, at 20.00h tomorrow. 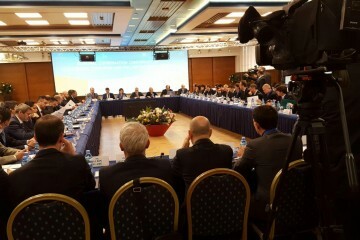 South-East European Ministers responsible for Information Technologies who gathered at the Budva Conference today expressed their strong common interest in participating in the creation of a single information space. 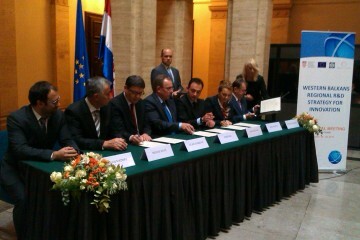 Western Balkans ministers of science signed in Split today an agreement on establishment of the Western Balkans Research and Innovation Centre (WISE). 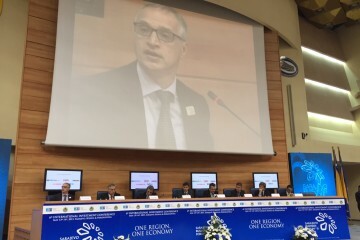 Sarajevo – Regional Cooperation Council (RCC) Secretary General, Goran Svilanovic, hosted today’s panel “One Region – One Economy” at the 6th International investment conference, the Sarajevo Business Forum (SBF). 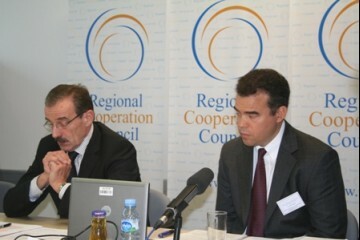 Sarajevo - Goran Svilanovic, Secretary General of the Regional Cooperation Council Secretariat (RCC) and H.E. 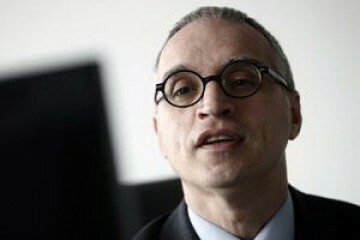 Dr Christian Hellbach, German Ambassador to Bosnia and Herzegovina, signed an agreement with which the Federal Republic of Germany continues its support of the RCC. 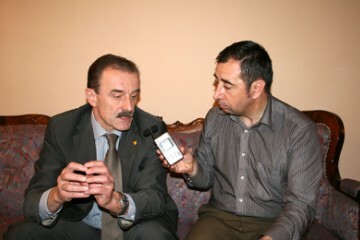 SARAJEVO – Goran Svilanović, Regional Cooperation Council (RCC)’s Secretary General, met with Filip Vujanović, President of Montenegro, at the organisation’s Secretariat in Sarajevo today. 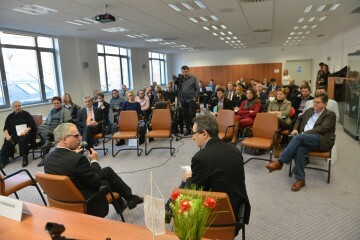 SARAJEVO – Regional Cooperation Council’s (RCC) Secretary General Goran Svilanovic welcomed Serbian delegation led by the Prime Minister Aleksandar Vucic at the RCC Secretariat in Sarajevo today. 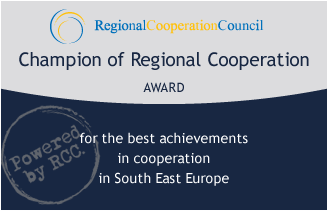 SARAJEVO – The Regional Cooperation Council (RCC) Board accepted the Annual Report of the RCC Secretary General on regional cooperation in South East Europe in the period 2013-2014 at its 23rd meeting held in Sarajevo, Bosnia and Herzegovina, today. 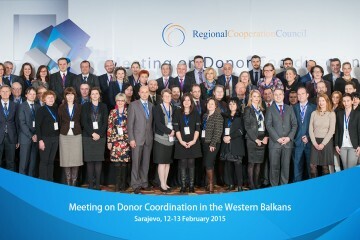 SARAJEVO – The successful completion of project Improving Cooperation in South-East Europe by Actions for Strengthening the Regional Cooperation Council (RCC) was marked by a final conference that was held in Sarajevo, Bosnia and Herzegovina, today. 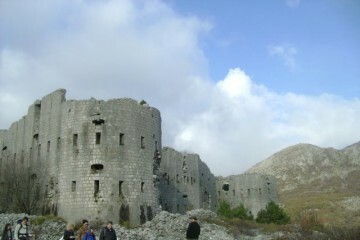 SARAJEVO/PODGORICA – 100,000 euro worth works on rehabilitating eight cultural heritage sites in four Western Balkans countries have been completed, informed the meeting of the Regional Cooperation Council (RCC)’s Task Force on Culture and Society that ended in Podgorica, Montenegro, today. 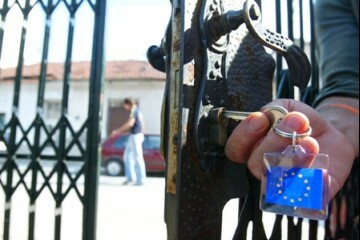 SARAJEVO – Goran Svilanovic, Secretary General of the Regional Cooperation Council (RCC), congratulated Serbia for opening negotiations for a European Union (EU) membership today. 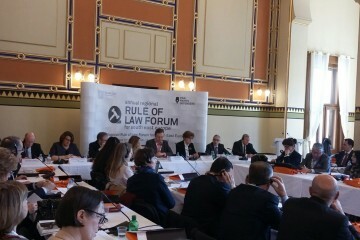 SARAJEVO/BELGRADE – A panel debate on findings of the Academy on Media Law in South East Europe: Online media regulation – Where does regulation end and overregulation start? 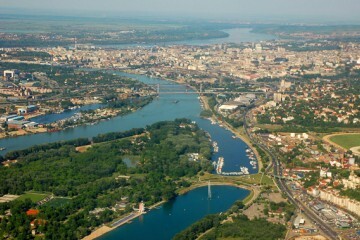 will take place in Belgrade, tomorrow, 13 December. 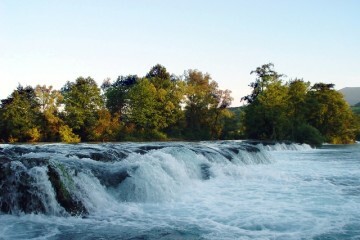 SARAJEVO – A three-day international roundtable on water and energy nexus in transboundary basins in South East Europe (SEE) will open in Sarajevo, Bosnia and Herzegovina, tomorrow, 6 November. 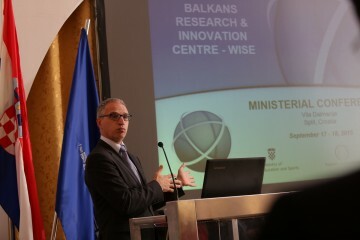 ZAGREB – The Western Balkans Regional Research and Development (R&D) Strategy for Innovation was adopted today in Zagreb by the ministers of science from the region during the ministerial meeting on regional R&D. 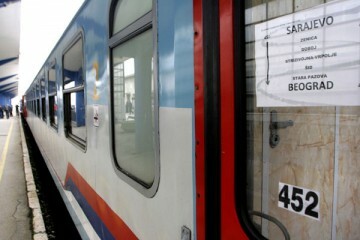 SARAJEVO – A two-day Congress on Railways in South East Europe ended in Sarajevo today, with over 250 participants from eleven countries agreeing to work on a common railway system in the region. 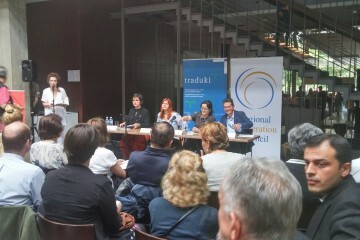 SARAJEVO – Participants of the second edition of the Academy on Media Law in South East Europe proposed ways to increase pluralism of content and views in the region and the independence and accountability of public service media, at a three-day event that closed in Sarajevo today. 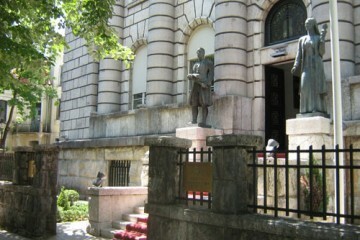 SARAJEVO – The second edition of the Academy on Media Law in South East Europe will open in Sarajevo tomorrow, 3 September. 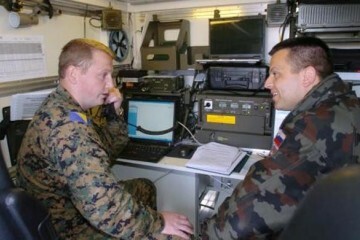 It will focus on issues of media pluralism, public service broadcasting and the freedom of the media on the Internet. 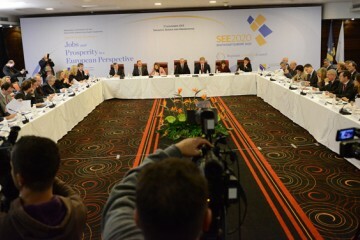 SARAJEVO – The South East Europe Investment Committee (SEEIC) will discuss progress in developing the South East Europe (SEE) 2020 strategy at its meeting in Sarajevo tomorrow. 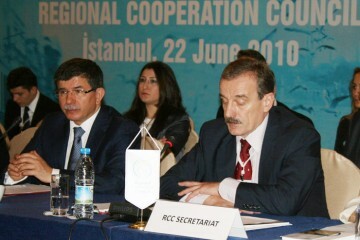 The event will be held under the auspices of the Regional Cooperation Council (RCC) Secretariat. 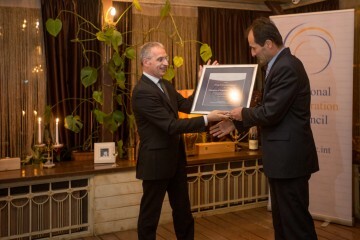 OHRID/SARAJEVO – The 5th Annual Meeting of the Regional Cooperation Council (RCC) endorsed the organization’s new strategy for the 2014-2016 period and the Annual Report of the RCC Secretary General. 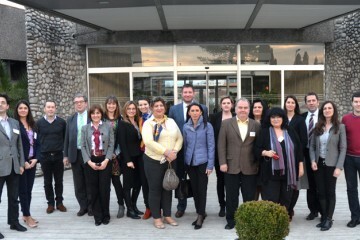 The meeting was held in Ohrid on 30th May 2013. 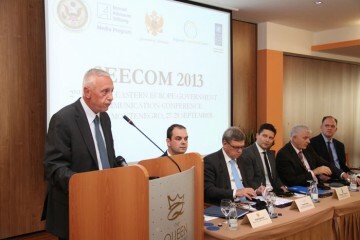 SKOPJE – A conference on strengthening cooperation and communication between security institutions and public service media from South East Europe will open in Skopje on Monday, 27 May 2013. 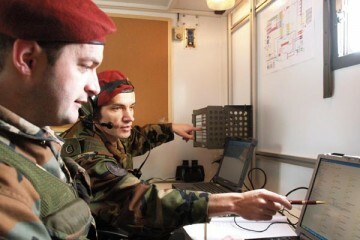 SARAJEVO – Representatives of 10 national aviation authorities and air navigation service providers will sign a Letter of Intent on the Joint Service Provision Area Initiative in South East Europe, in Sarajevo, on 29 April, under the auspices of the Regional Cooperation Council (RCC). 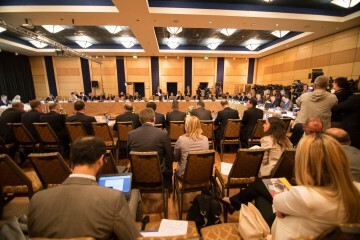 SARAJEVO – Development of the South East Europe (SEE) 2020 regional growth strategy and its implementation will be the main topics of the 12th South East Europe Investment Committee (SEEIC) Meeting, which will be held in Sarajevo tomorrow. 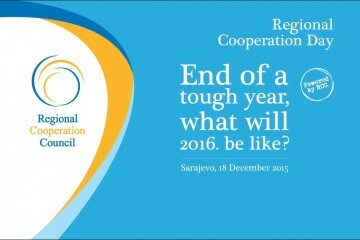 SARAJEVO – A panel discussion and an award for best achievement in cooperation in South East Europe will be central elements of the marking of the fifth anniversary of the Regional Cooperation Council (RCC), in Sarajevo tomorrow. 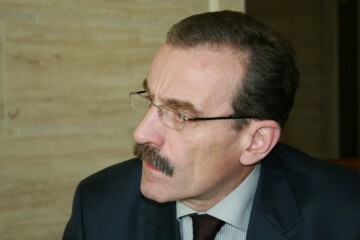 SARAJEVO – Goran Svilanović, the new Secretary General of the Regional Cooperation Council (RCC), has assumed his duties in Sarajevo today. 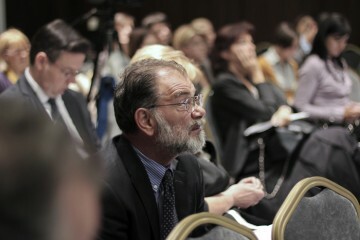 SARAJEVO, 21 November 2012 – A policy paper on ‘new skills for new jobs’ in the Western Balkans is expected to be adopted at a meeting hosted by the Regional Cooperation Council (RCC) Secretariat, in Sarajevo, tomorrow. 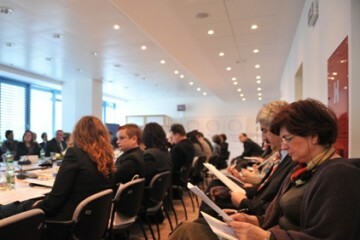 SARAJEVO/SKOPJE – South East European Museums Network, which will enhance cross-border cooperation between these cultural institutions, was established at a ministerial conference held in Skopje today. 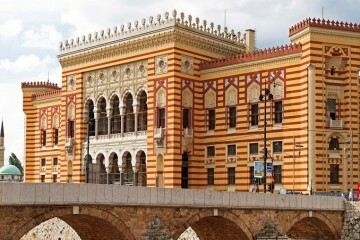 SARAJEVO/SKOPJE – Funds for rehabilitating South East European cultural heritage, including a 2.8 million euro worth project, will be presented at a meeting of the Regional Cooperation Council’s Task Force on Culture and Society, which began in Skopje today. 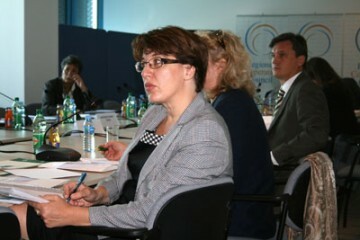 SARAJEVO – A set of nine targets for integrated, smart, inclusive and sustainable growth in the region until 2020 was supported by the members of the South East Europe Investment Committee (SEEIC), during a meeting held at the Regional Cooperation Council (RCC) Secretariat in Sarajevo today. 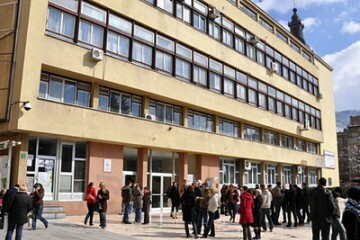 SARAJEVO – The conference Lifelong Learning and Non-formal Adult Education in South East Europe will discuss ways to build knowledge-based society in the region by increasing participation in adult learning, in Sarajevo, tomorrow. 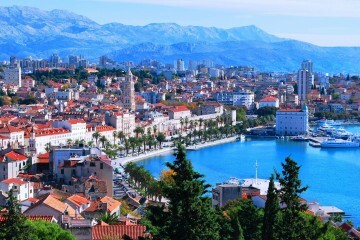 SARAJEVO – The South East Europe Investment Committee (SEEIC) is expected to back initial flagship targets for the South East Europe (SEE) 2020 Strategy at its meeting in Sarajevo, tomorrow. 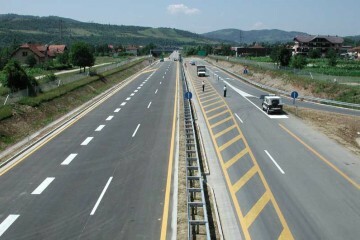 SARAJEVO – A two-day Road Congress in South East Europe ended in Sarajevo today, with over 400 participants from ten countries agreeing to establish a professional regional forum for the development of the road sector. 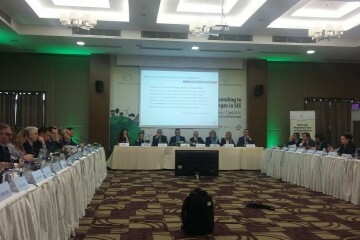 OHRID/SARAJEVO – The third Governing Body meeting of the Implementation of Single European Sky (ISIS) Programme in South East Europe ended in Ohrid today, approving a progress report and proposing ISIS continuation beyond 2012. 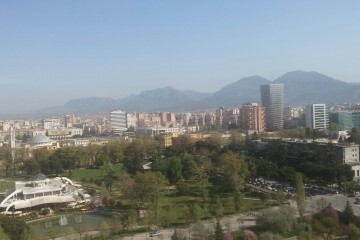 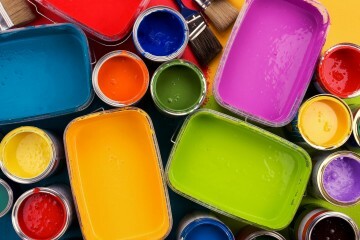 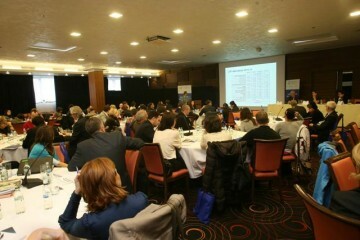 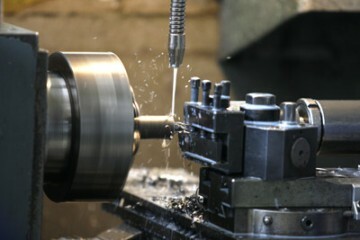 SARAJEVO – A two-day regional conference New Skills for New Jobs in Western Balkans will open in Sarajevo tomorrow. 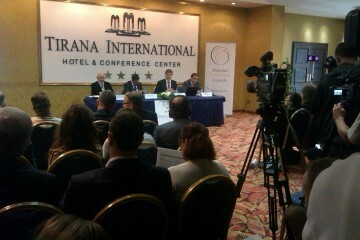 The event will discuss steps to establish a long-term vision of social development in the region, in line also with EU social agenda. 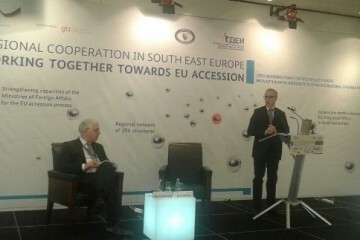 BELGRADE/SARAJEVO – Goran Svilanović has been appointed the new Secretary General of the Regional Cooperation Council (RCC) by the ministers of foreign affairs of the states participating in the South-East European Cooperation Process (SEECP), at their meeting held in Belgrade today. 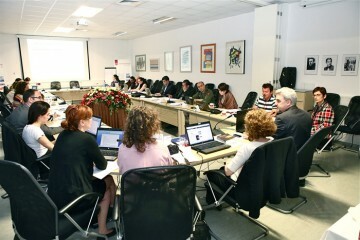 ZAGREB, 8 June 2012 – The first Academy on Media Law in South East Europe wrapped up its work in Zagreb, Croatia, today, with a set of recommendations to enhance public service media remit, media pluralism and responsibility. 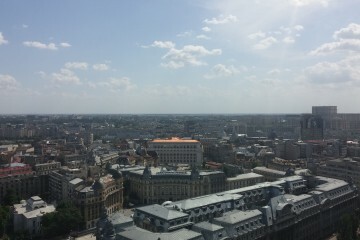 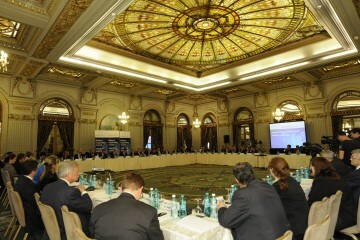 BUCHAREST/SARAJEVO – Two regional conventions, on criminal and on civil and commercial matters, were discussed by over 70 South East European experts in justice and home affairs at a meeting in Bucharest today, held under the auspices of the Regional Cooperation Council (RCC) Secretariat. 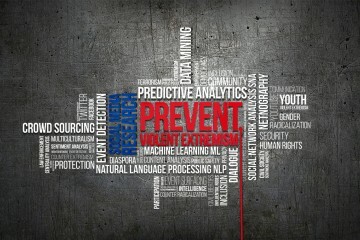 ZAGREB/SARAJEVO/PULA – A conference to promote investigative journalism and journalistic independence in South East Europe, while respecting data protection principles, will open in Pula, Croatia, on Wednesday, 30 May. 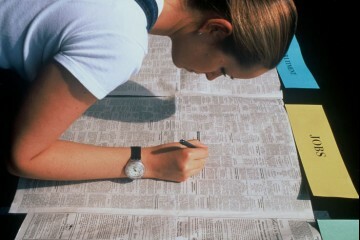 SARAJEVO – Opportunities for study, work and personal development that information and communication technologies (ICT) offer to girls will be in focus of International Girls in ICT Day to be marked in Sarajevo, Bosnia and Herzegovina, tomorrow. 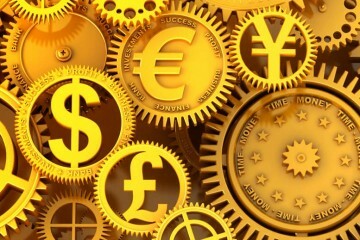 SARAJEVO – Directors of eight South East European (SEE) securities (stock) exchanges will sign a Platform for Joint Action under the auspices of the Regional Cooperation Council (RCC) Secretariat, in Sarajevo, tomorrow, 27 March. 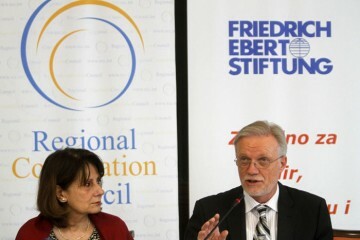 SARAJEVO – The project Improving Cooperation in South-East Europe by Actions for Strengthening the Regional Cooperation Council (RCC) will be launched in Sarajevo tomorrow, at a kick-off meeting organized by the Central European Initiative (CEI) in cooperation with the RCC Secretariat. 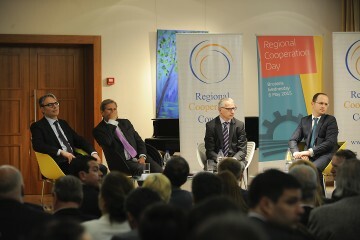 SARAJEVO – The 4th anniversary of the Regional Cooperation Council (RCC) will be marked in Sarajevo tomorrow with a panel discussion From ownership to responsibility: Regional cooperation in South East Europe and EU membership. 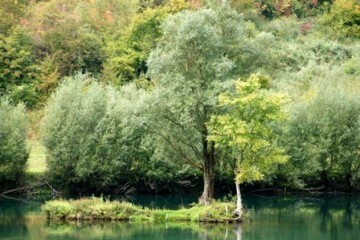 SARAJEVO – The European Union (EU) environmental policy and Western Balkans environmental trends and perspectives will be the topic of a two-day parliamentary seminar hosted by the Regional Cooperation Council (RCC) Secretariat in Sarajevo, on 23-24 February. 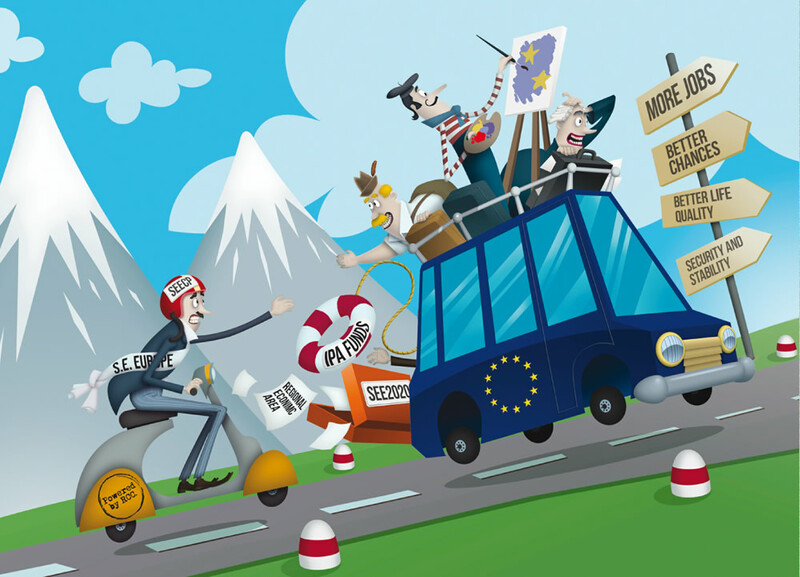 SARAJEVO – A two-day conference on civil society networks in the Western Balkan countries and Turkey, in support of their greater participation in the EU accession process and in implementing the Regional Cooperation Council strategy, will be opened in Sarajevo tomorrow. 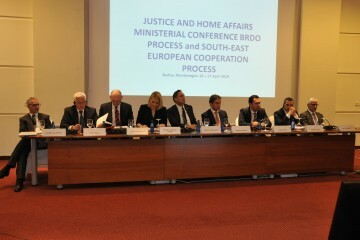 BELGRADE/SARAJEVO – A two-day conference to evaluate regional needs in justice, home affairs and security cooperation ended in Belgrade today, establishing mechanisms to foster South East European cooperation on criminal investigations and protection of fundamental rights. 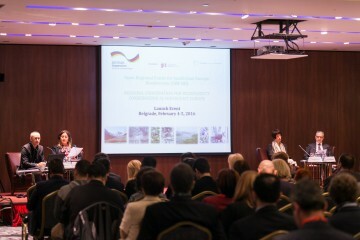 BELGRADE/SARAJEVO – A two-year project to develop a strategy for regional dimension of Research and Innovation cooperation in the Western Balkans has been launched today, in Belgrade, Serbia. 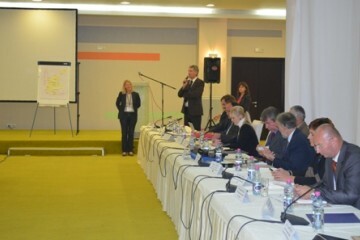 SARAJEVO – Over 50 participants from the Regional Cooperation Council’s 13 South East European members will discuss independence and sustainability of the region’s public service media in Sarajevo, on Monday, 14 November. 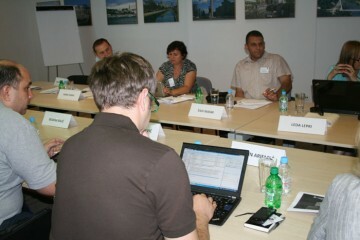 SARAJEVO – Regulation of informal settlements was the topic of a conference on urban planning in South East Europe, which took place today at the Regional Cooperation Council (RCC) Secretariat in Sarajevo, Bosnia and Herzegovina. 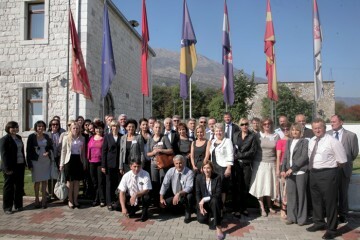 DANILOVGRAD/SARAJEVO – The first regional training of education inspectors ended today at the Regional School for Public Administration (ReSPA) in Danilovgrad, Montenegro. 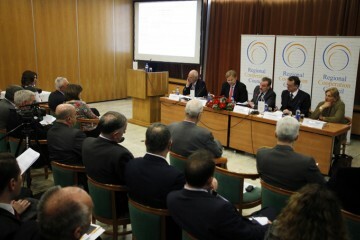 SOLIN/SARAJEVO – The second conference of the Governing Body for the Implementation of Single European Sky in South East Europe (ISIS Programme) concluded today in Solin, Croatia, with a recommendation that competent ministers extend ISIS Programme to a third phase after 2012. 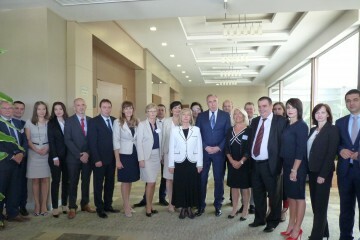 SARAJEVO – President of the Republic of Serbia, Boris Tadic, paid a visit today to the Secretariat of the Regional Cooperation Council (RCC) in Sarajevo, where he expressed full support to the work of the organization during his meeting with RCC Secretary General Hido Biscevic. 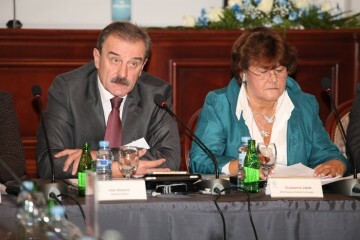 SARAJEVO – The first meeting of the Steering Group on Regional Strategy on Justice and Home Affairs, designed to facilitate the Strategy implementation, will open in Sarajevo tomorrow, under the auspices of the Regional Cooperation Council (RCC) Secretariat. 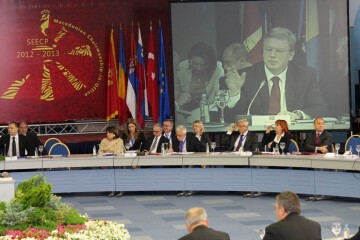 BUDVA/SARAJEVO – The Heads of State and Government of the South-East European Cooperation Process (SEECP) praised today in Budva the successful implementation of the Regional Cooperation Council (RCC) Strategy and Work Programme 2011-2013, endorsing the Annual Report of its Secretary General. 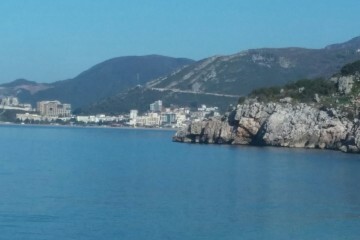 BUDVA/SARAJEVO – Ministers of Foreign Affairs of the South-East European Cooperation Process (SEECP) countries commended today the work of the Regional Cooperation Council (RCC) and its Secretary General at a meeting in Budva, Montenegro. 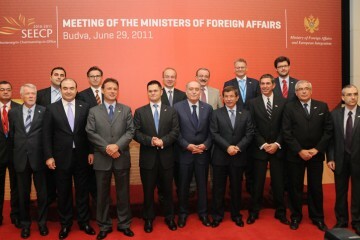 BUDVA/SARAJEVO – The third Annual Meeting of the Regional Cooperation Council (RCC), will take place in the Montenegrin town of Becici near Budva, on 28 June 2011. 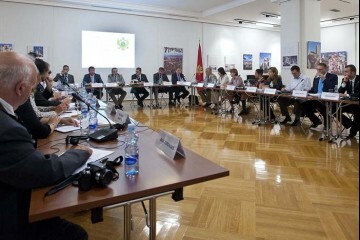 CETINJE/SARAJEVO – “The Regional Cooperation Council (RCC) Task Force on Culture and Society will promote cooperation in preserving the cultural heritage of South East Europe”, said Hido Biscevic, RCC Secretary General, at today’s constitutive meeting of the Task Force in Cetinje, Montenegro. 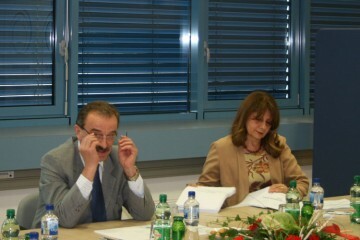 CETINJE/SARAJEVO – The Secretariat of the Regional Cooperation Council (RCC) Task Force on Culture and Society will be opened on Wednesday, 22 June 2011, at the premises of the Montenegrin Ministry of Culture, in Cetinje. 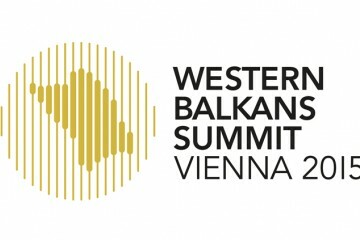 SARAJEVO – A two-day conference to discuss possible development of regional social agenda for the Western Balkans is to open in Sarajevo, tomorrow. 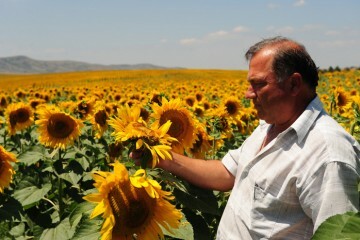 It will address issues of employment, poverty reduction and social inclusion. 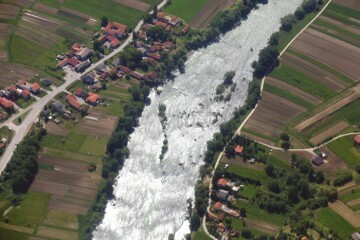 SARAJEVO – A roundtable on fundraising for projects of the International Sava River Basin Commission (ISRBC) will be held at the Regional Cooperation Council (RCC) Secretariat in Sarajevo, tomorrow, 17 May. 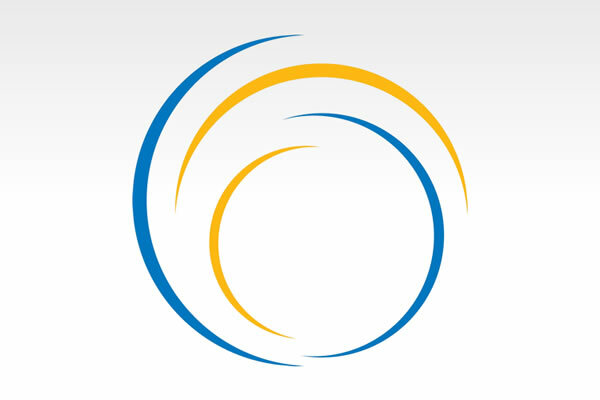 SARAJEVO – The Regional Cooperation Council (RCC) Secretariat launched today several new online features, designed to diversify user-friendly access to the content of the organization’s website. 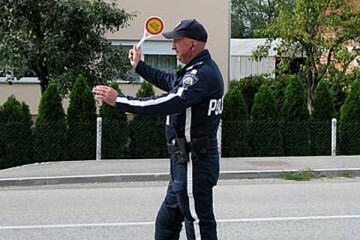 SARAJEVO – The second Conference on Road Infrastructure Safety Management in South East Europe, aimed at halving the number of traffic accidents in the region by 2020, will open in Sarajevo tomorrow. 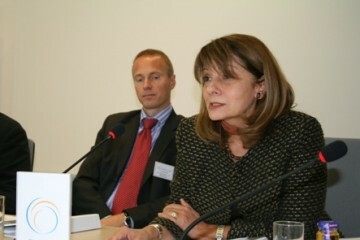 SARAJEVO/BRUSSELS – A Western Balkans and Europe 2020 – Towards Convergence and Growth coordination meeting of regional initiatives and interested donor institutions will take place in Brussels, on 30-31 March 2011. 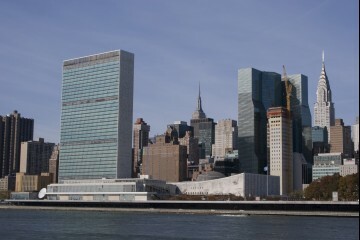 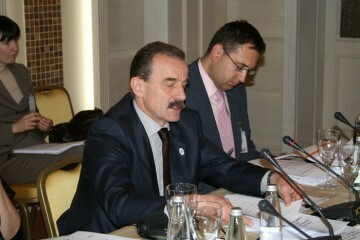 The event will be organized by the Regional Cooperation Council (RCC) Secretariat. 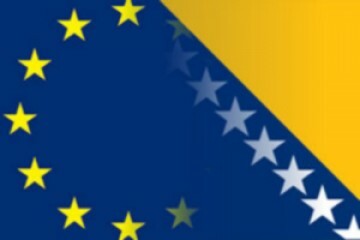 SARAJEVO – Role of national parliaments in Western Balkans and Turkey in negotiations for EU accession will be discussed at a meeting hosted by the Regional Cooperation Council (RCC) Secretariat in Sarajevo, on 17-18 March. 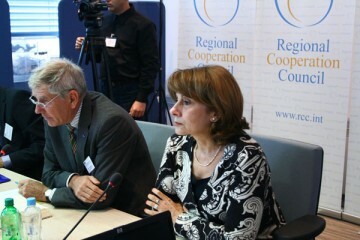 SARAJEVO – A panel discussion South East Europe in 2011 and Beyond: Sharing the Same Vision will be held in Sarajevo, on Monday, 7 March, to mark the third anniversary of the Regional Cooperation Council (RCC). 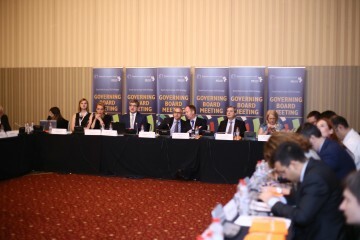 SARAJEVO – A two-day seminar on the role of parliaments in the legislative process and in the government oversight in Western Balkans will wrap up in Sarajevo today at the premises of the Regional Cooperation Council (RCC) Secretariat. 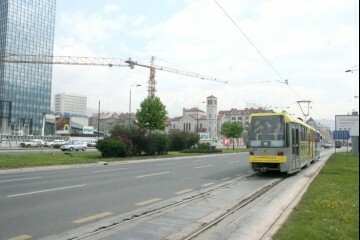 SARAJEVO – The sixth meeting of the South East European Research Area for e-Infrastructures (SEERA-EI), organized by the Ministry of Communication and Transport of Bosnia and Herzegovina and hosted by the Regional Cooperation Council (RCC) Secretariat, will commence in Sarajevo tomorrow. 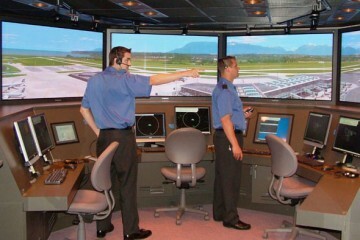 SARAJEVO – A three-day workshop on establishment and empowerment of airspace National Supervisory Authorities (NSA), will open tomorrow at the Regional Cooperation Council (RCC) Secretariat, in Sarajevo, Bosnia and Herzegovina. 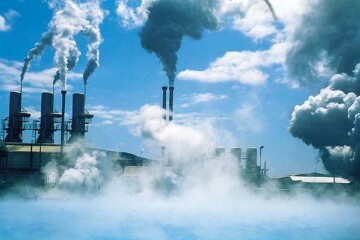 SARAJEVO – A two-day workshop on reducing pollutions from the power industry in South East Europe will commence in Sarajevo tomorrow, co-organized by the Secretariats of the Energy Community (EnC) and the Regional Cooperation Council (RCC). 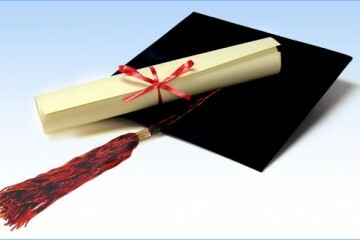 SARAJEVO – Role of inspectors in education quality assurance in South East Europe will be in focus of a two-day regional conference that will open in Sarajevo tomorrow, at the Regional Cooperation Council (RCC) Secretariat. 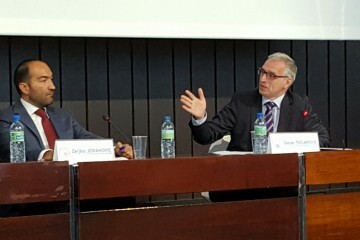 SARAJEVO – Broadcasters and government officials pledged to ensure a smooth digital transition in South East Europe and called on European institutions for financial support in the interests of European cohesion. 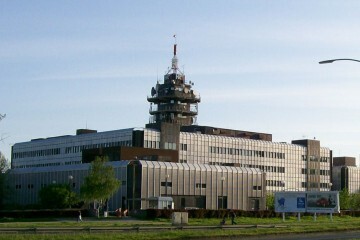 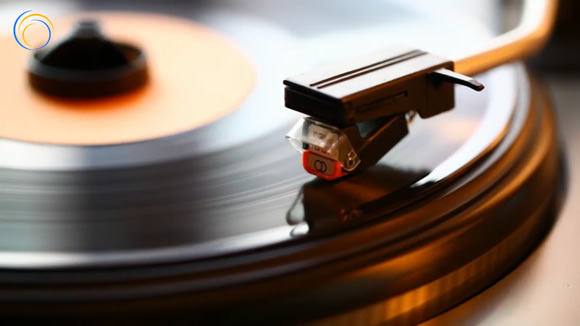 SARAJEVO – A two-day international conference on digitalization and sustainability of public service media in South East Europe will open in Sarajevo tomorrow, under the auspices of the Regional Cooperation Council (RCC) Secretariat and the European Broadcasting Union (EBU). 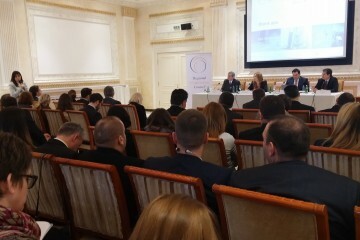 BELGRADE/SARAJEVO – A regional conference on the role of national parliaments in fighting poverty and social exclusion concluded in Belgrade today, with a pledge to increase inter-parliamentary cooperation in order to decrease impoverishment levels in South East Europe. 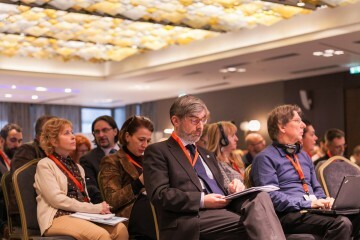 DUBROVNIK/SARAJEVO – A three-day international forum on higher education reform ended today in Dubrovnik, Croatia, agreeing to focus on a strategic development of Western Balkans’ education capacity over the next 10 years, in the context of the EU higher education area. 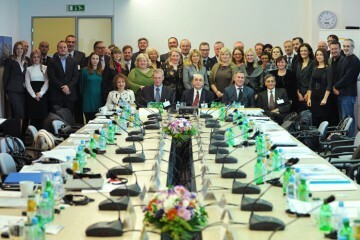 ISTANBUL/SARAJEVO – Participants of the First Forum for South East European (SEE) Women Entrepreneurs, agreed today in Istanbul to create a permanent platform for the exchange of experiences and good practices and promote further advancement of women entrepreneurs’ networks in the region. 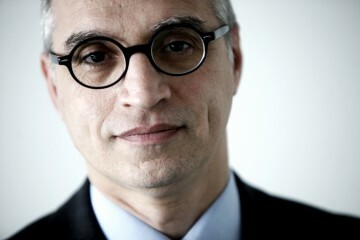 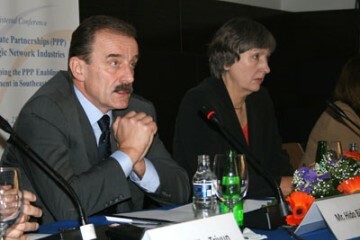 SARAJEVO – The Secretary General of the Regional Cooperation Council (RCC), Hido Biscevic, will present the organization’s new strategy for 2011-2013, and outline the main activities scheduled for this autumn, at a press conference in Sarajevo, tomorrow, 16 September. 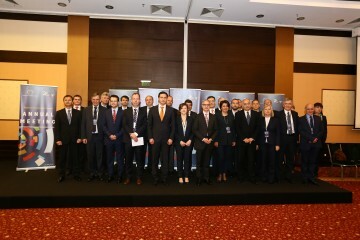 BUDVA/SARAJEVO – A conference on the Implementation of Single European Sky in South East Europe (ISIS Programme) agreed today that improved air traffic regulation will stimulate connectivity and create new market opportunities in the region. 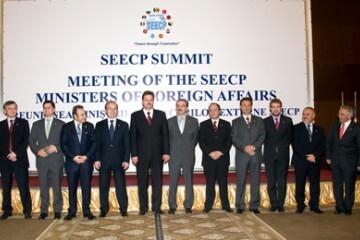 ISTANBUL/SARAJEVO – The ministers of foreign affairs of the states participating in the South-East European Cooperation Process (SEECP) re-appointed Hido Biscevic as the Secretary General of the Regional Cooperation Council (RCC), at their meeting in Istanbul today. 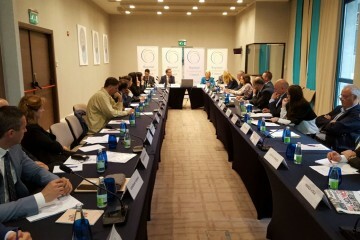 SARAJEVO – National European Movement Councils from eight South East European countries met in Sarajevo today for the first time to discuss greater civil society involvement in regional cooperation. 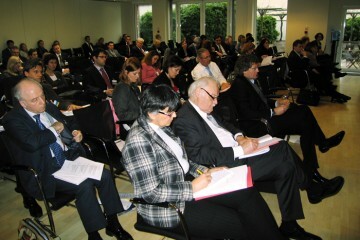 The event was hosted by the Regional Cooperation Council (RCC) Secretariat. 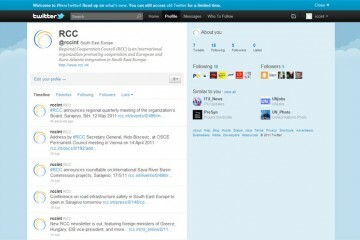 SARAJEVO – The Regional Cooperation Council (RCC) Secretariat launched today a redesigned version of the organization’s website and a new publication, the monthly e-newsletter. 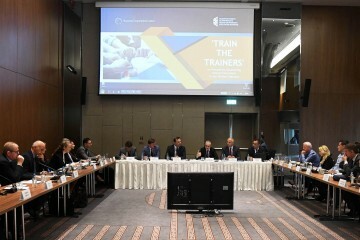 ISTANBUL/SARAJEVO – The role of public research institutes in technological development of the Western Balkan countries is instrumental to upgrading the competitiveness of the region, participants of a two-day South East European workshop agreed in Istanbul today. 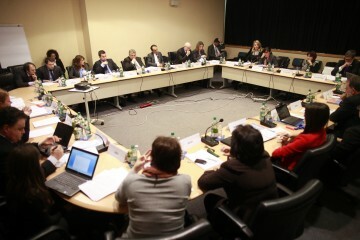 SARAJEVO – The Regional Cooperation Council (RCC) Board discussed today the first draft of the new, three-year Strategic Work Programme of the organization for the period 2011-2013. 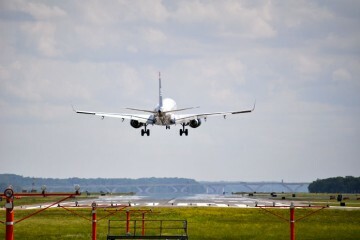 SARAJEVO – A workshop on importance of air transport for the economic and social development of South East Europe will open in Sarajevo tomorrow, 11 February, under the auspices of the Regional Cooperation Council (RCC) Secretariat. 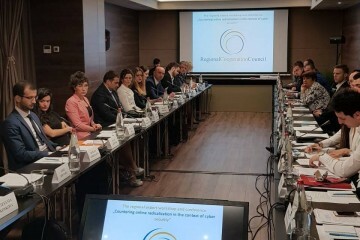 SARAJEVO – The 29 members of the Regional Cooperation Council (RCC) Board discussed today in Sarajevo further strategic prioritization of activities of the organization and gave full support to its Secretariat in these efforts. 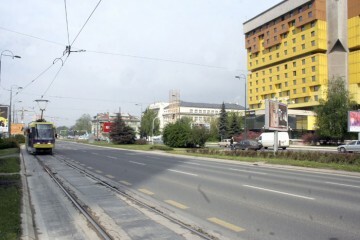 SARAJEVO – The South East European Public-Private Partnership (SEE PPP) Network will be launched in Sarajevo on Monday, 30 November, under the auspices of the Regional Cooperation Council (RCC) Secretariat. 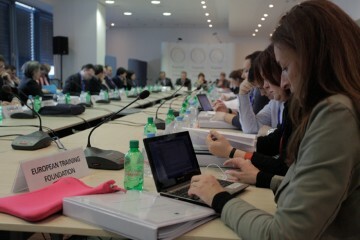 SARAJEVO – Forty journalists and editors from leading South East European (SEE) media outlets agreed in Sarajevo today that the region needs the media to shape its new image, promote greater journalistic responsibility and maintenance of highest possible professional standards. 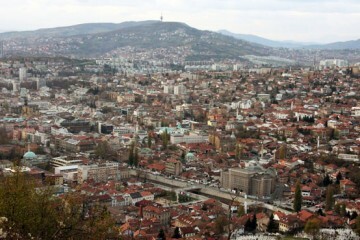 SARAJEVO – Journalists and editors from leading South East European media outlets will gather in Sarajevo on 15-16 October to discuss their role in shaping a new image of the region as a place of tolerance, progress and European values. 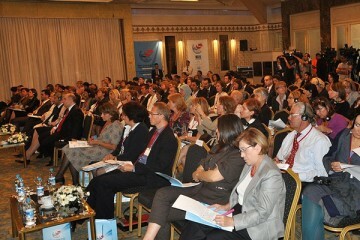 SARAJEVO – A ministerial conference aimed at generating public private partnerships in South East Europe will be held in Sarajevo tomorrow, 25 September, co-organized by the Regional Cooperation Council (RCC) Secretariat and the United Nations Development Programme (UNDP) in Bosnia and Herzegovina. 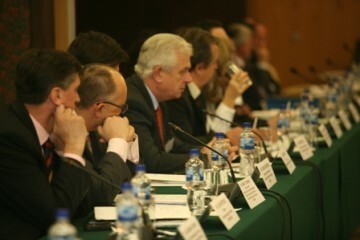 SARAJEVO – A panel of high-level experts from South East Europe (SEE) met in Sarajevo today to stimulate in depth discussion on regional response to global economic crisis. 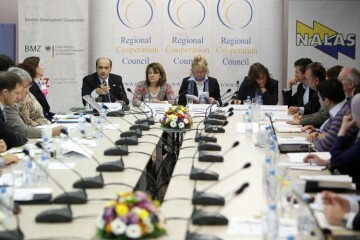 The first such meeting in the region was held under the auspices of the Regional Cooperation Council (RCC) Secretariat. 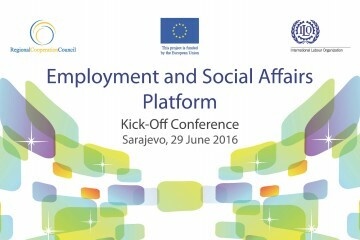 SARAJEVO – The Regional Cooperation Council (RCC) Secretariat will tomorrow, for the first time under its umbrella, host a meeting of the Employment and Social Policy Network of South East Europe (SEE), in its premises in Sarajevo. 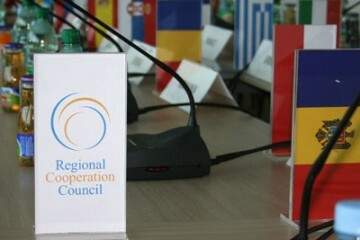 CHISINAU/SARAJEVO – The first Annual Meeting of the Regional Cooperation Council (RCC), held in Chisinau today, endorsed the RCC Secretary General’s Annual Report on regional co-operation in SEE and the 2009-2010 Strategic Work Programme of the organization. 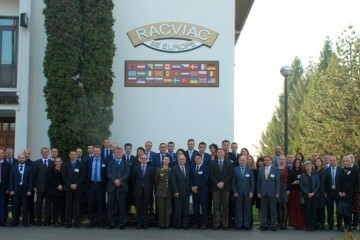 SOFIA/SARAJEVO – Multinational cooperation is very much needed to address present security challenges in South East Europe (SEE), SEE defence policy directors agreed at a meeting in Sofia today. 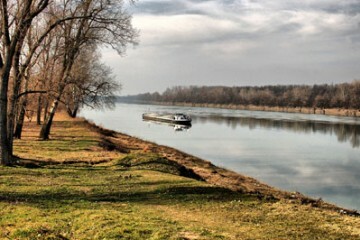 SARAJEVO – A three-day international workshop on management of transboundary water resources in South East Europe (SEE), co-organized by the Regional Cooperation Council (RCC) Secretariat and the United Nations Economic Commission for Europe (UNECE) will open in Sarajevo tomorrow, 18 May. 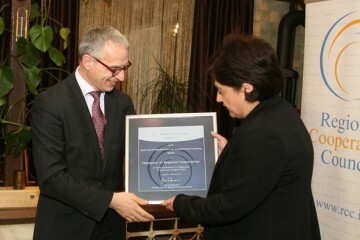 SARAJEVO – The 29 members of the Board of the Regional Cooperation Council (RCC) accepted in Sarajevo today the 2008 Annual Report of the RCC Secretary General on regional cooperation in South East Europe. 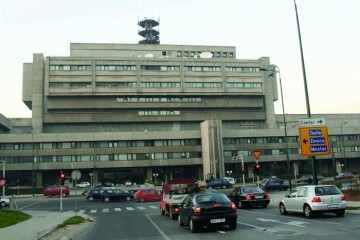 SARAJEVO – President of the Republic of Croatia, Stjepan Mesic, will tomorrow pay a visit to the Secretariat of the Regional Cooperation Council (RCC) in Sarajevo, to highlight support to the organization and the importance Croatia attributes to regional cooperation. 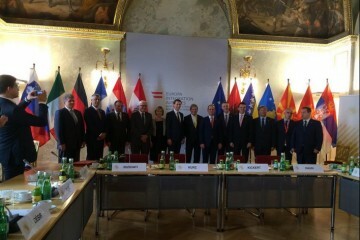 SARAJEVO – Western Balkans ministers agreed today in Sarajevo to launch preparations of a regional research strategy, under the auspices of the Regional Cooperation Council (RCC) Secretariat and the Czech Presidency of the European Union. 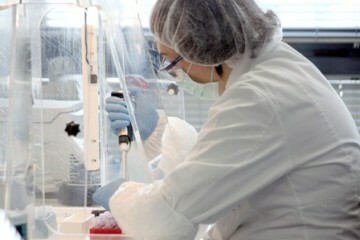 SARAJEVO – A ministerial conference to launch a regional research strategy for the Western Balkans will take place in Sarajevo, on Friday, 24 April. 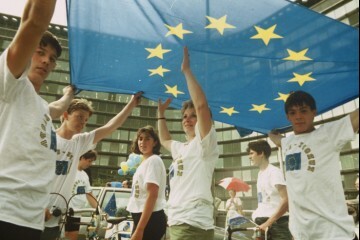 The event will be co-hosted by the Regional Cooperation Council (RCC) Secretariat and the Czech Presidency of the European Union. 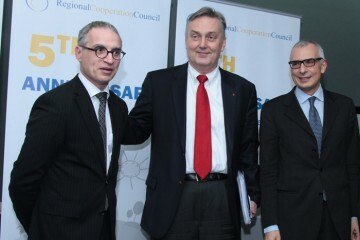 SARAJEVO – “The work of the Regional Cooperation Council (RCC) Secretariat is tremendously important for the countries of the region and for all of Europe”, said Minister of Foreign Affairs of the Kingdom of Sweden, Carl Bildt, at the RCC Secretariat’s premises in Sarajevo today. 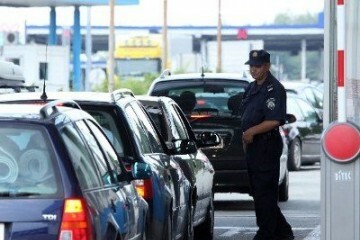 SARAJEVO – The 5th conference of the Bled Process on Stolen Vehicle Crime will take place tomorrow at the premises of the Regional Cooperation Council (RCC) Secretariat in Sarajevo. 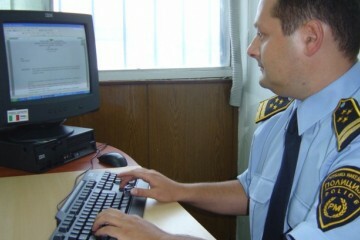 The event is jointly organized by the RCC and the Southeast Europe Police Chiefs Association (SEPCA). 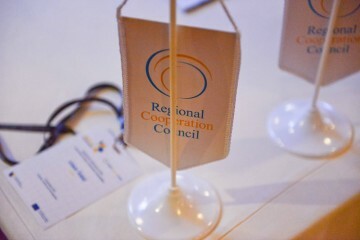 SARAJEVO – The 29 members of the Regional Cooperation Council (RCC) Board gathered today in Sarajevo to discuss cooperation with 18 regional taskforces and initiatives active in South East Europe (SEE) and to review RCC activities since December 2008. 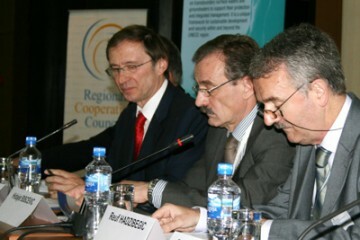 SARAJEVO – The Regional Cooperation Council (RCC) will tomorrow mark the first anniversary since it has been established at a historic meeting in Sofia on 27 February 2008 that demonstrated dedication to strengthen regional ownership and cooperation in South East Europe (SEE). 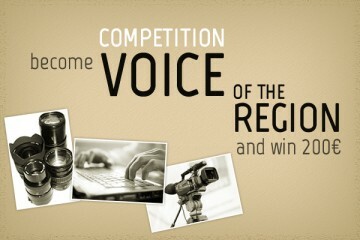 SARAJEVO – The Secretariat of the Regional Cooperation Council (RCC) announced today the winners of its Essay and Photo Contest 2008, which was open for submission of the works in September/October 2008. 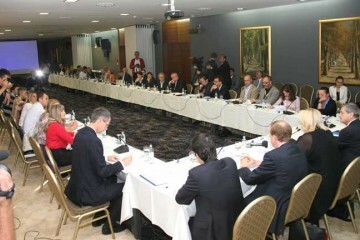 SARAJEVO – The 29 members of the Regional Cooperation Council (RCC) Board met in Sarajevo today to discuss RCC work in the last quarter of 2008 and the activities planned for 2009. 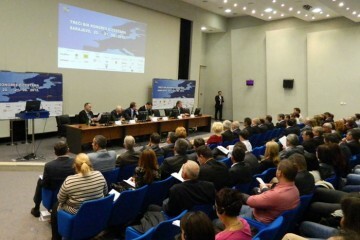 SARAJEVO – Parliamentarians from Southeast Europe will address the ways of supporting regional energy reforms, in Sarajevo, on Monday. 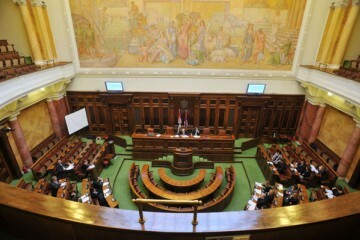 The event will be co-organized by the Parliamentary Assembly of Bosnia and Herzegovina and the Secretariat of the Regional Cooperation Council (RCC). 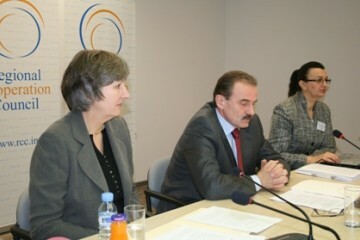 ANKARA/SARAJEVO – Experts of the Regional Cooperation Council (RCC) Secretariat ended in Ankara today a series of presentations on the organization’s work across Southeast Europe (SEE). 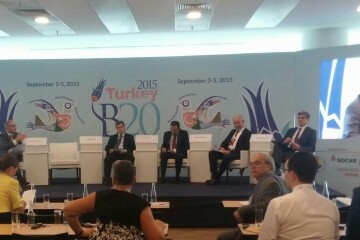 ISTANBUL/SARAJEVO – Joint cooperation in Southeast Europe is a prerequisite for regional economic growth and development, said the RCC Secretary General Hido Biscevic at the two-day Balkan Economic Summit that ends in Istanbul today. 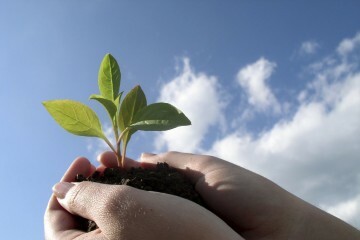 SARAJEVO – Five ministers launched the Southeast European (SEE) Climate Change Framework Action Plan for Adaptation at a conference held in Sarajevo today, thus making a concrete commitment to regional cooperation in combating climate change. 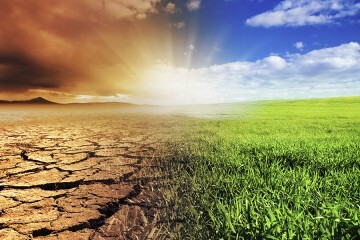 SARAJEVO – The Secretariat of the Regional Cooperation Council (RCC) will host the first Ministerial Conference on Combating Climate Change in Southeast Europe (SEE), in Sarajevo tomorrow. 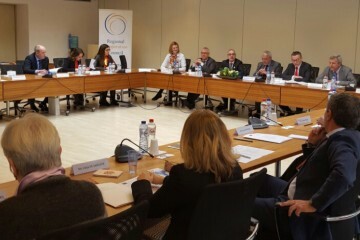 BRUSSELS/SARAJEVO – The RCC Secretary General Hido Biscevic exchanged views today in Brussels with the European Parliament (EP) rapporteurs for the Western Balkans on RCC activities, and on political situation and developments in Southeast Europe (SEE). 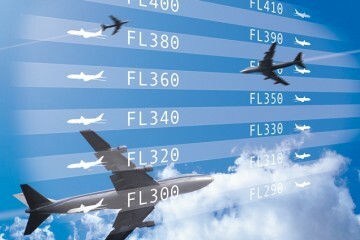 DUBROVNIK/SARAJEVO – Southeast European airliners agreed at a meeting in Dubrovnik yesterday that air traffic cooperation in the region should be enhanced to improve air connections, increase competitiveness and better position Southeast Europe on the European air transport market. 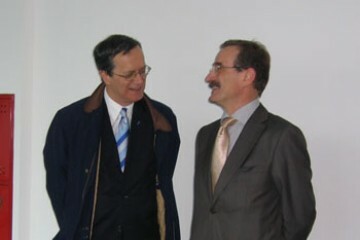 BRUSSELS/SARAJEVO – Southeast Europe remains a NATO priority in terms of strengthening the security in the region, said Ambassador Claudio Bisogniero, the Alliance’s Deputy Secretary General, at a meeting with the RCC Secretary General, Hido Biscevic, in Brussels yesterday. 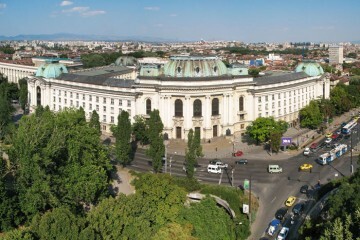 SARAJEVO/BRUSSELS – The Regional Cooperation Council (RCC) Secretariat will host a cocktail reception in Brussels on Monday, 20 October, to officially mark the opening of its Liaison Office with Euro-Atlantic institutions. 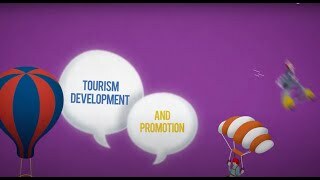 SARAJEVO – The study “Defining and Strengthening Sector Specific Sources of Competitiveness in the Western Balkans – Recommendation for a Regional Investment Strategy” will be presented tomorrow at the premises of the Regional Cooperation Council (RCC) Secretariat in Sarajevo. 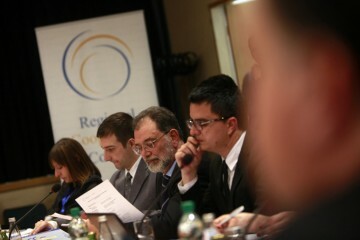 SARAJEVO – The RCC Secretary General Hido Biscevic presented today his quarterly report to the 29 members of the RCC Board, at their first meeting at the premises of the RCC Secretariat in Sarajevo. 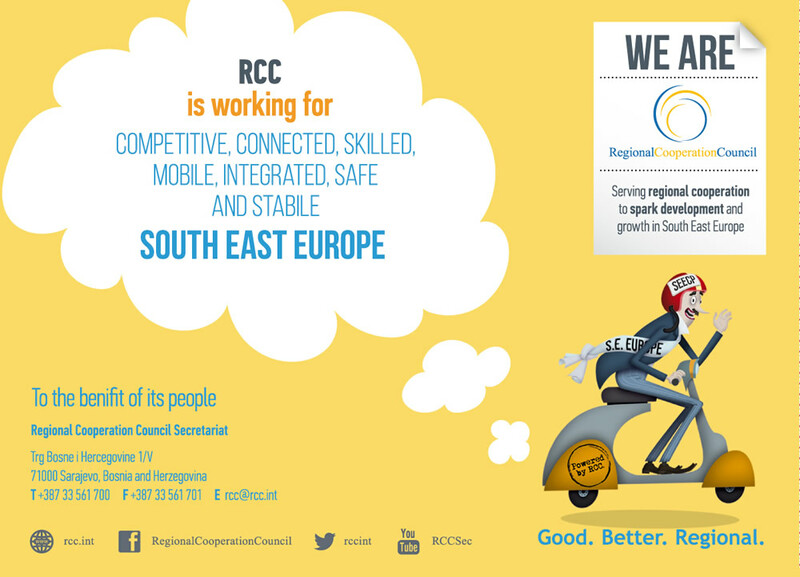 PRISTINA/SARAJEVO – The RCC Secretary General, Hido Biscevic, discussed with high officials in Pristina yesterday the most beneficial ways of utilizing RCC networking capacities to ensure faster development of the organization’s every Southeast European member. 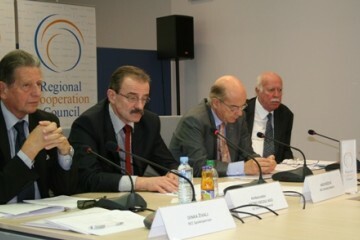 SARAJEVO – The Regional Cooperation Council (RCC) and its partner, the Organization for Economic Cooperation and Development (OECD), will tomorrow hold a kick-off meeting initiating the preparation of the Southeast Europe Investment Reform Index 2009 (IRI 2009), at the RCC offices in Sarajevo. 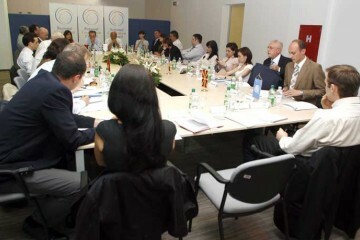 SARAJEVO – The Regional Cooperation Council (RCC) will host the first meeting of six regional initiatives and 20 international organizations active in the field of justice and home affairs in the Southeast Europe, in Sarajevo on 15-16 September. 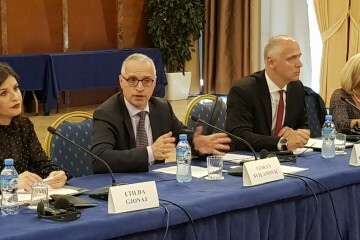 PODGORICA/SARAJEVO – The RCC Secretary General Hido Biscevic received full support of the Montenegrin Prime Minister Milo Djukanovic in Podgorica yesterday for RCC efforts in promoting cooperation in Southeast Europe. 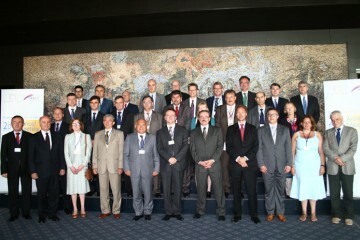 SARAJEVO – At a meeting with the RCC Secretary General Hido Biscevic in Sarajevo today, the World Bank Vice President for Europe and Central Asia, Shigeo Katsu, expressed his complete support to the work of the RCC and to the development of joint cooperation between the two organizations. 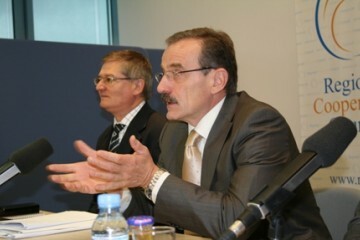 ATHENS/SARAJEVO – The ways of enhancing the role of RCC National Coordinators was in the centre of talks between the RCC Secretary General Hido Biscevic and the Greek Deputy Foreign Minister Yannis Valinakis in Athens yesterday. 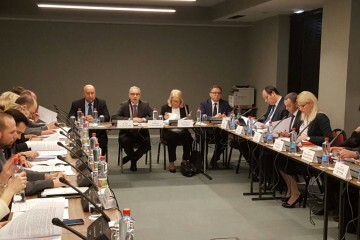 SOFIA/SARAJEVO - The RCC Secretary General Hido Biscevic started in Sofia yesterday his round of political consultations with high-level officials of Southeast European countries. 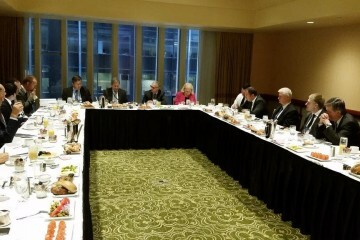 BRUSSELS/SARAJEVO – Implementation of the Treaty Establishing the Energy Community for South Eastern Europe was the topic of the meeting of the EC Ministerial Council held in Brussels today. 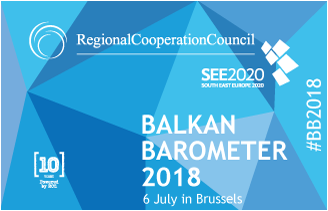 SARAJEVO – The first meeting of Regional Cooperation Council (RCC) National Coordinators from South East European countries will take place in Sarajevo on Monday, 30 June, at the premises of the RCC Secretariat. 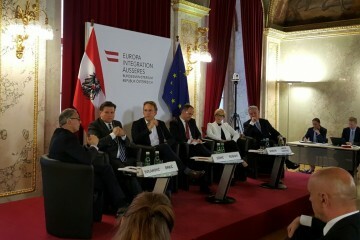 SARAJEVO/BRUSSELS – The Secretary General of the Regional Cooperation Council (RCC) Hido Biscevic participated today in the European Policy Summit "A Balkans Balance Sheet" focusing on current political and economic situation affecting the Western Balkans. 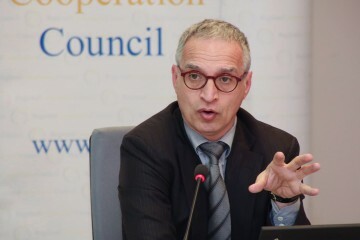 SARAJEVO – The Secretary General of the Regional Cooperation Council (RCC), Hido Biscevic, welcomed the signing of the Stabilization and Association Agreement (SAA) between the European Union and Bosnia and Herzegovina in Luxembourg yesterday. 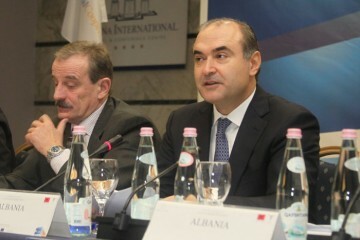 CHISINAU/SARAJEVO – The Secretary General of the Regional Cooperation Council (RCC), Hido Biscevic, started today his two-day visit to the Republic of Moldova to discuss future RCC work and priorities during the country's Chairmanship of the South East European Cooperation Process (SEECP). 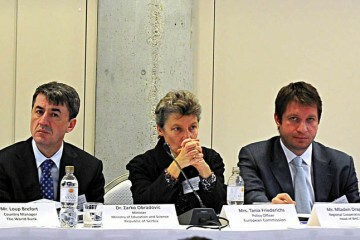 LJUBLJANA/SARAJEVO – A regional Task Force on Fostering and Building Human Capital in South Eastern Europe was launched in Ljubljana yesterday, under the auspices of the Regional Cooperation Council (RCC). 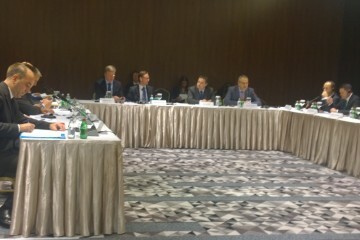 SARAJEVO – Identifying ways of fostering sustainable economic growth in South Eastern Europe was the main topic of today’s meeting in Sarajevo between the RCC Secretary General Hido Biscevic and the Executive Secretary of the UN Economic Commission for Europe (UNECE), Marek Belka. 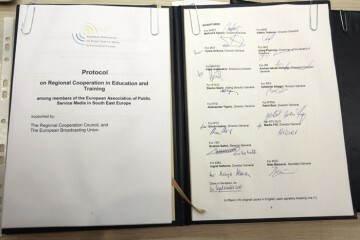 BRUSSELS/SARAJEVO – The officials of the Regional Cooperation Council (RCC) Secretariat ended today the three-day working visit to the European Commission (EC) in Brussels, marking the beginning of intense cooperation and consultations between the two institutions. 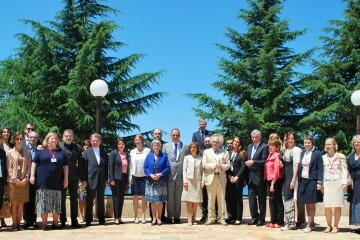 POMORIE, BULGARIA – The Heads of State and Government of the South-East European Cooperation Process (SEECP) endorsed the 2008-2009 Strategic Work Programme of the Regional Cooperation Council (RCC), presented to them by the RCC Secretary General Hido Biscevic in Pomorie today. 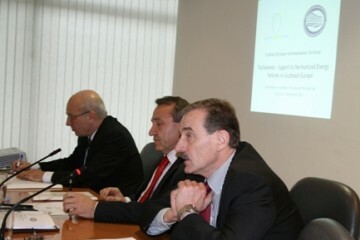 POMORIE, BULGARIA – The Ministers of Foreign Affairs of the South-East European Cooperation Process (SEECP) approved in Pomorie today the 2008-2009 Strategic Work Programme of the Regional Cooperation Council (RCC), presented to them by the RCC Secretary General Hido Biscevic. 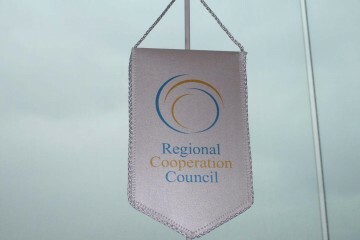 POMORIE, BULGARIA – The Regional Cooperation Council (RCC) Board adopted the 2008-2009 Strategic Work Programme of the organization at a meeting held in the Bulgarian city of Pomorie today. 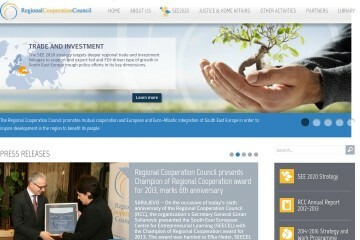 SARAJEVO – The Regional Cooperation Council (RCC) today launched its newly designed website, which can be visited at www.rcc.int. 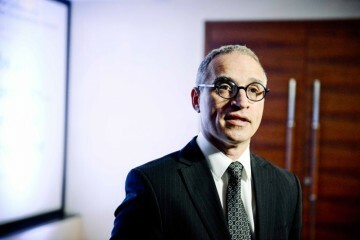 SARAJEVO – The Secretary General of the Regional Co-operation Council (RCC), Hido Biscevic, will present to the public the RCC Secretariat staff and offices, as well as the organization’s work priorities, on Monday, 28 April. 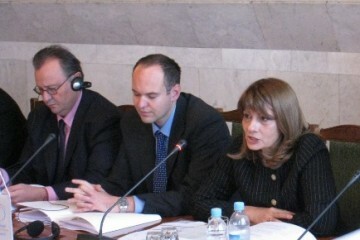 CHISINAU/SARAJEVO – The Secretary General of the Regional Cooperation Council (RCC), Hido Biscevic, met in Chisinau today with the Moldovan Prime Minister Zinaida Grecieanii, to discuss priorities of the upcoming Moldovan Chairmanship of the South Eastern Europe Cooperation Process (SEECP). 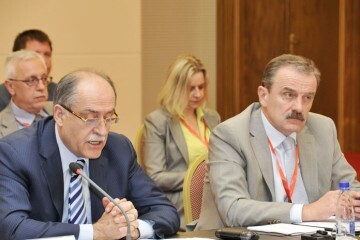 SARAJEVO – The first ministerial meeting on disaster preparedness and prevention in South Eastern Europe, held today in Sofia, Bulgaria, pointed to a need to strengthen regional cooperation in this important field and take joint action to cope with fires, floods and earthquakes. 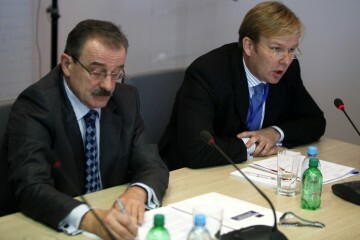 SARAJEVO – The Secretary Generals of the Regional Cooperation Council (RCC) and the Organization for Security and Co-operation in Europe (OSCE), respectively, Hido Biscevic and Marc Perrin de Brichambaut, will meet in Sarajevo on Monday, 17 March 2008.